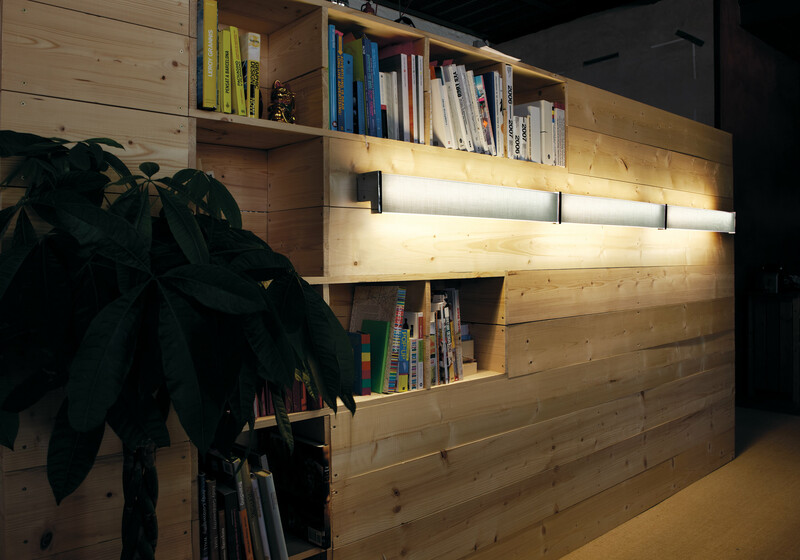 Conceived as a modular system for producing lengthways strips of light, it is designed to be included in any surroundings using decorative resources. The frontal profile made of transparent polycarbonate makes it possible to slot in a film made of white linen. Warm and understated, it explores new possibilities for interior design. Presented in five different lengths, it can be installed as isolated modules, or continuous strips can be created to illuminate corridors, headboards for beds, etc. 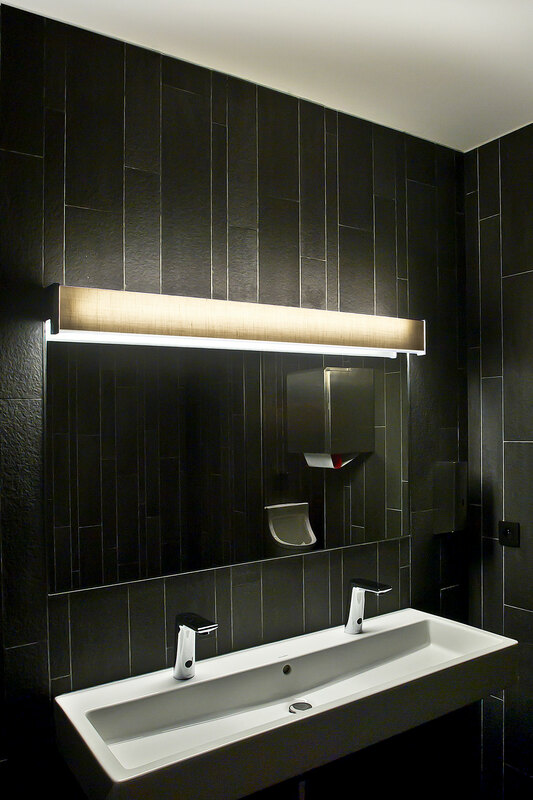 Its multi-faceted design also allows it to be used as a base for illuminated signs, and includes an IP44 model which is ideal for bathrooms. When used as lighting for headboards, an LED reading lamp can be included.